I just got news this morning from my brother in Scotland who tells me that my Mom, who was let out of hospital after a very long time of illness, is not doing well, and is at home. Doc was in to see her. She is dying. No time frame. I don’t want to post publicly on FB because I don’t know if my brother reached all the family yet. I feel alone in this, being so far away, in Canada. I’m reaching out for prayer. I called Dave, mom’s husband, at 9 pm, and he says she has not been eating, barely sipping anything, no talking, no moaning (so no pain?) and she does not respond to his hug or saying I love you. He is heartbroken. Doc said no use bringing her to hospital, not worth putting her back there, she won’t get better, just downhill from now, she’s better at home, just keep trying to get her to sip something. Even though I was partially expecting this news, I am still shocked to hear the word “dying”. 4:04 am: Awake suddenly, with the scripture from morning devotional, where Jesus, hearing about Lazarus being sick, says, this is for the glory of God. Mom, you’re a good soldier. If you are going home….you are going home to LIFE! My Mom is forgiven….faultless before the throne. 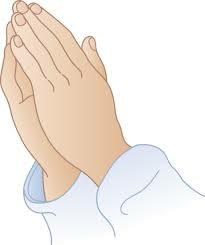 Prayer for Dave to see the holiness of death and to meet God in it, to come to know God as His Saviour. I know that first part sounds like an unfamiliar and very strange prayer, but this very thing happened to me in watching the death of a friend’s Mom. I came to realize that HOLINESS was in it. Later: I’m ok, have not heard from any family except the one brother, so not sure what’s going on there. The family is scattered. I have one sister whose relationship with Mom has been strained, one who has been in fairly close contact though from out of the country, one brother in Northern Scotland, the one who informed me, and who has been in regular close contact with my Mom, and one brother in the closest town to Mom. He has been very upset about Mom no longer recognizing him when he visited. The silence is strange at a time like this. My siblings all seem reconciled that Mom has already been gone for months, but still breathing. That’s hard for me to take. I don’t know what they are all thinking. I wish I did. I have no means to travel to Scotland. I think there is a reason for Mom to be hanging on like this, and I wonder why. Is it part of God’s plan for me? For them? For all of us? I have so many questions and no ready answers….. This entry was posted on October 29, 2014 by annj49 in A Journey With My Mom, Blog and tagged death, dying, God's plan, Loss.